Participating in an International Development internship with Projects Abroad is a great way to gain experience in community outreach abroad and assist various local organizations. International Development internships are also great for developing your leadership skills and building your resume. 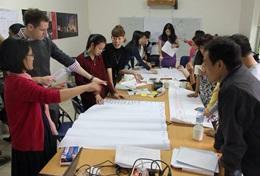 How Can I Intern on an International Development Project in Asia? Interns should be prepared to work hard and make a valuable contribution during their time abroad while also learning new skills. Interns in International Development programs can be asked to participate in a variety of tasks, including but not limited to conducting research, training local staff, administrative support, marketing, and teaching English to the local staff.